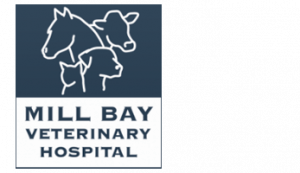 When we have animals in the hospital for surgeries (spaying or neutering for example), some may be sent home with a buster collar to prevent them from licking at the incision site, especially those big male dogs! A “buster collar” or ‘Elizabethan Collar” can be purchased at a veterinary hospital or a pet store. When animals lick at a wound or sore on their bodies, their tongues can be more destructive than helpful. This plastic cone can be slipped over their head and have a collar or string to hold it in place. A correctly sized cone will keep the animal from reaching the area of concern, and they will still be able to eat and drink. Seeking medical attention from your veterinarian is the best way to deal with the concern, but having a buster collar on hand may prevent the area from worsening before being seen. 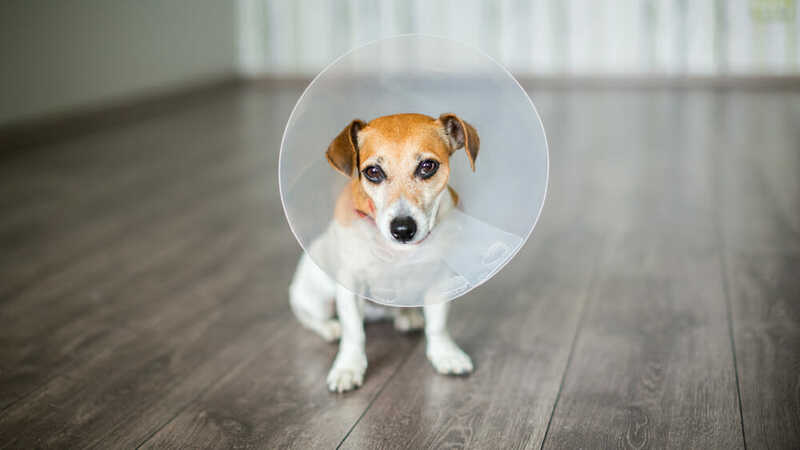 ‘Buster collar’, ‘Elizabethan collar’, ‘e-collar’ or ‘lampshade’, these are some of the common terms when it comes to your pet wearing a cone on their head. This is “LB” in his buster collar. His cone is on to prevent him from chewing at his body as he was experiencing some skin issues. 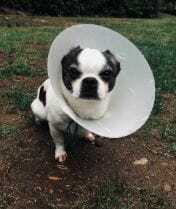 Buster collars may also be used for pets with eye problems, wearing the cone will protect the eye and promote healing. Some pets don’t handle the hard plastic collar as it can restrict their view. 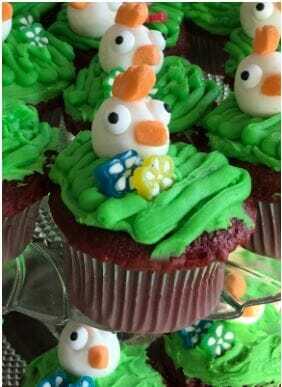 They can be afraid and plop their head onto the floor and not want to move. If this is the case for your animal, there are other types available as well. Blow up collars can be purchased and can be useful as the hard sided collars. There are also soft sided buster collars, shaped like the collar that “LB” is wearing, but made of a soft, durable material. Give some extra love to your pet if they are wearing a buster collar, they can’t scratch where they want to, and there is a lampshade on their head!